Hello lovely readers and followers! Welcome back to Day 5 of the 30 Day Blog Challenge! I kind of consider myself a foodie, as I love to eat. I am a picky eater though. My stomach only tolerates bland foods, so some people may think my tastes are rather boring. These are five of the most interesting and tasty dishes that I love! I have a thing for breakfast food–it’s almost like a romance really. I’m definitely not a morning person, and sometimes the thought of breakfast is the only motivation for me not to hit the snooze button! I love cereal, oatmeal, eggs, toast, and muffins. I love french toast and bacon–especially at Cracker Barrel. And if I could, I would live off of McDonald’s breakfast biscuits. I really wish I had a photo of my mom’s amazing cooking! You know it’s a holiday in my house when you wake up to the smell of sweet and sour meatballs in the crock pot. My mom’s spaghetti is also amazing and tangy–great comfort food on a cold winter night. Inside of me is a southern girl trying to get out. 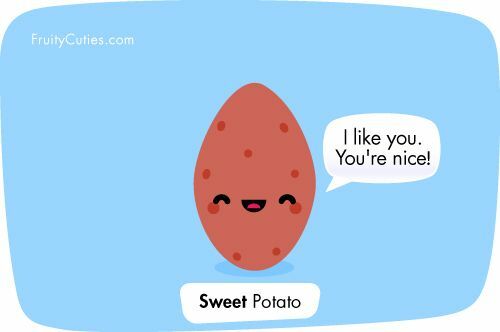 Let’s face it, sweet potatoes are the candy of the vegetable world. Although my IBS says no, my heart says pretty please (with sprinkles!). Ice cream is my food of choice all spring and summer. 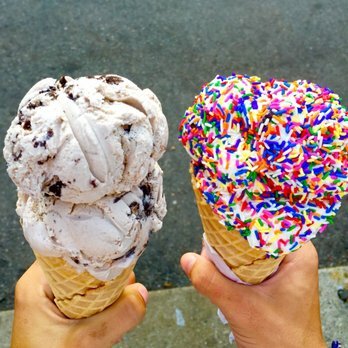 Cookies and cream is my favorite, but I also love Fruity Pebbles or vanilla with sprinkles. My obsession with sub sandwiches started with my digestive issues. Subs are bland (when they have no sauce), and contain all of the food groups you need. They are easy on my stomach and so delicious. I love trying new sub shops and putting chips on my sandwiches! Thanks for reading! What are your favorite foods? Tell me in the comments below! Breakfast food all the way! 😀 With your favourite food list, we should be besties! Lol. My mouth is watering just thinking about the Magic that is Fruity Pebbles Ice Cream! I need to find this near me! I love Olive Garden! It’s one of my favorite restaurants actually. Your list sounds so yummy Erin!